The news has again been filled with reports of the dangers of hormone replacement therapy. The latest study published in the Journal of the American Medical Association on October 20, 2010 looked at the same people from the infamous Women’s Health Initiative (WHI). The news isn’t that different, they just followed the study participants longer and found the cancers to be more aggressive. • The women in the WHI were given 0.625 mg of conjugated equine estrogen (CEE) (synthetic) and 2.5 mg of medroxyprogesterone acetate (synthetic progesterone otherwise known as progestin). • CEE is available in much lower doses and bioidentical estradiol is available in both patch and oral form. The patch allows hormone to be absorbed through the skin and does not increase clotting. • Progestin was implicated in cancer risk and we now have pharmaceutical bioidentical progesterone known as Prometrium or it can be compounded by a compounding pharmacy. There is a difference between synthetic progestin and bioidentical progesterone which is the same chemical structure made by your body. • The average age of those in the study was 63, and most were well past menopause when they started hormone replacement therapy. • Reports from the most recent North American Menopause Society meeting in Chicago indicate that there was a statistically significant reduction in mortality and a positive benefit to risk ratio for women started on hormone therapy in the first decade after onset of menopause when data from the two Women’s Health Initiative hormone therapy trials were pooled. 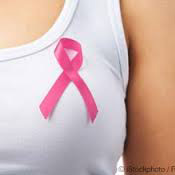 • The deaths due to breast cancer were 2.6 per 10,000 women and women who were not on hormone replacement therapy also developed breast cancer at the rate of 1.3 deaths per 10,000 women. If you are experiencing symptoms of menopause, talk to a doctor who specializes in bioidentical hormone replacement therapy and get a perspective of the risks and benefits.